For over twenty years, David Brackett has resolved his clients’ disputes through trial and appellate advocacy. He has served as litigation counsel for individuals and companies in courts across the nation. His extensive experience as counsel for both plaintiffs and defendants gives him important insight and perspective in his cases. David’s practice focuses on complex, high stakes litigation. He has significant experience in cases involving contract disputes, corporate governance, business torts, and RICO. David has also litigated several cases involving government procurement processes and local government law. David is often called upon to represent other lawyers and their law firms in professional liability matters, and he has extensive experience assisting directors, officers, and special board committees with corporate governance disputes. As an adjunct professor at Georgia State University’s College of Law, David co-teaches a course on commercial arbitration. Represented purchaser of over $6 billion of mortgage backed securities in asserting fraud and RICO claims against three of the nation’s largest banks. In the course of lengthy and hard-fought litigation, managed review of millions of pages of information produced by the Defendants and third parties. The cases concluded with a confidential settlement. Lead counsel in derivative action involving a Georgia corporation. Obtained increased percentage of proceeds from the sale of the company for minority shareholders whose ownership interest had been diluted by controlling shareholders. 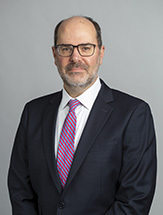 Lead counsel in arbitration (and eventual settlement of dispute) involving multi-million dollar contract claim in connection with the sale of a business. Lead counsel in representing a community bank. Obtained summary judgment on the bank’s multi-million dollar contract claim and also obtained summary judgment in the bank’s favor on the defendants’ counterclaims. Lead counsel for clients who mistakenly signed a warranty deed. Obtained jury verdict canceling warranty deed and directed verdict on counterclaims. As lead counsel in litigation with the State Secretary of State, secured inclusion of client, an independent candidate for general assembly, on ballot in general election. Currently serving as co-lead counsel with lawyer from Children’s Rights, Inc., representing a class of foster children in State custody in connection with on-going monitoring of measures of systemic reform of State system pursuant to a Consent Decree. Obtained reversal of trial court’s denial of summary judgment on claims of fraud and breach of fiduciary duty in case in which David was hired to handle appeal. Lead counsel in representation of owner of Broker-Dealer in litigation alleging securities fraud and negligent supervision. Compelled arbitration and obtained affirmance of order of trial court dismissing action in favor of arbitration. Then obtained dismissal of client from FINRA arbitration prior to final hearing. Obtained dismissal on behalf of former officer of corporation in action alleging misappropriation of trade secrets and breach of fiduciary duty. Obtained summary judgment on claims alleging fraud, conspiracy and violation of Georgia’s RICO statute on behalf of a commercial real estate developer. Secured directed verdict on several claims seeking millions in damages at conclusion of month-long jury trial in Superior Court. Represented national teleservices corporation in defense of class actions filed in California and Ohio involving alleged violations of consumer protection laws. Representing the City of Atlanta in litigation and arbitration involving annexations and the validity of certain Local Constitutional Amendments. Worked with Attorneys from the Atlanta Legal Aid Society in the successful representation of a group of senior citizens against a high interest loan company. Challenged Georgia’s photo ID requirement for in-person voting, which caused the state to repeal and modify the law. Appointed by the United States Court of Appeals for the Eleventh Circuit and the United States District Court for the Northern District of Georgia to represent indigent litigants in several cases. Serving as a Board Member (former Chair) of Intown Collaborative Ministries, a non-profit organization striving to prevent and reverse homelessness and hunger in Intown Atlanta. Serving on the Southern Steering Committee of Children’s Rights, Inc. Serving as a Board Member for Georgia Appleseed Center for Law & Justice.